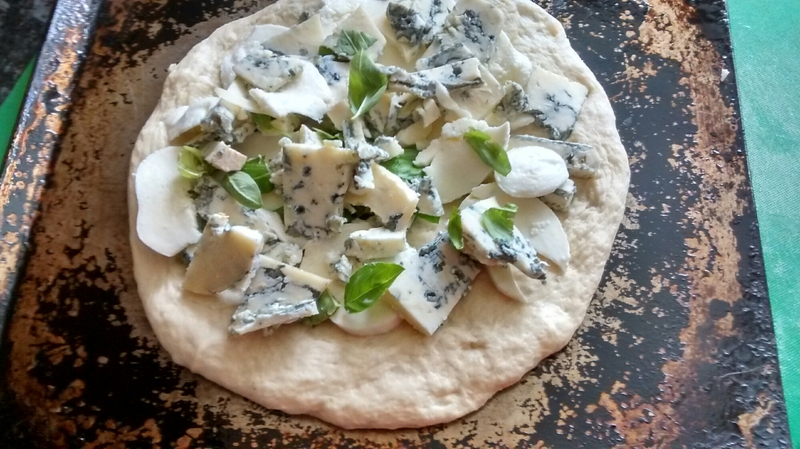 This is a cheese-filled epic with mozzarella and gorgonzola and basil just prior to having the top layer dough added and sealed. Perfect for a summer picnic but definitely best served still warm, although can survive a 1 minute reheat in the microwave. Again, in common with all the stuff I cook, very easy to make and much the same dough as i use to make pizza bases though it doesn’t have the wine I usually have in the focaccia. 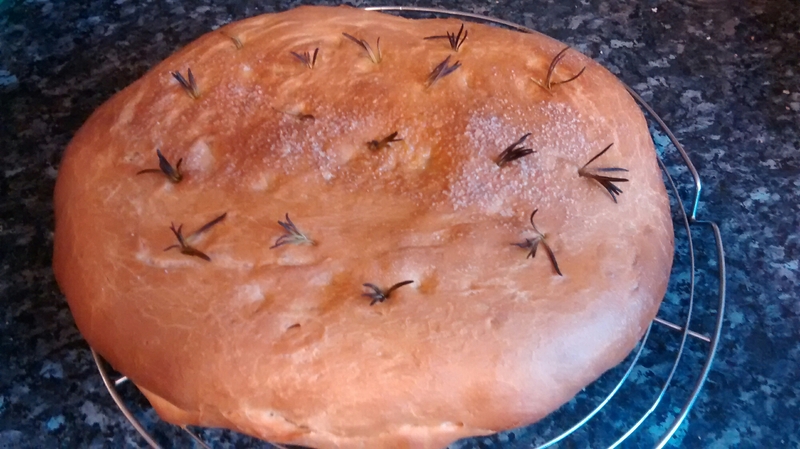 This entry was posted in Bread and pasta and tagged farcita, focaccia, gorgonzola on June 7, 2016 by julianrawcliffe.